The Labour Party have shamelessly ripped off one of the Conservative Party’s most famous and impactful political posters of all time. 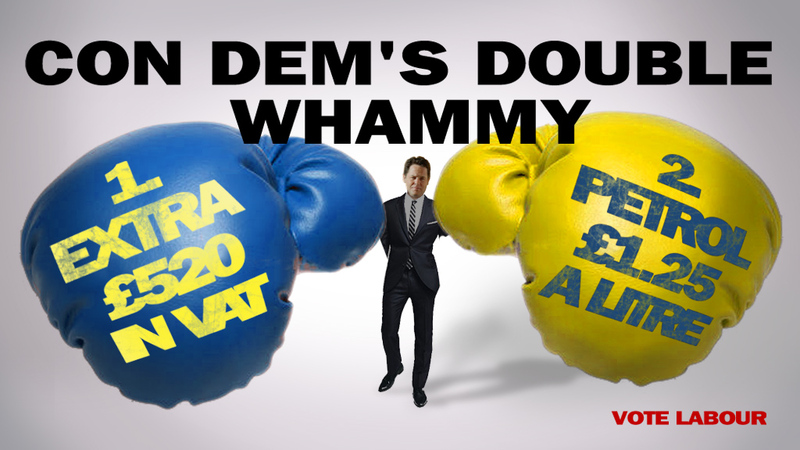 The advert is running in Oldham, where the by-election to replace Phil Woolas is currently taking place. 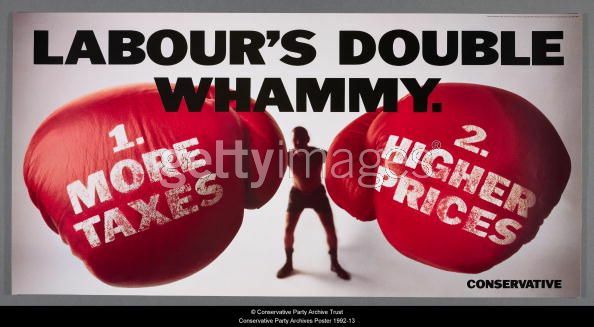 The Conservative Party, in their successful general election campaign in 1992, released the double whammy poster (below) to great acclaim and Conservative supporters rehashed it in last year’s election. When a party can’t come up with a single fresh idea for an election poster, what does it say about their ability to come up with new and innovative policies to improve the country? What the poster does show is how vulnerable the Lib Dems are going to be in every Lib / Lab marginal constituency across the country for a generation. It’s not really an official Labour poster thought, is it? When a blogger who ostensibly writes about political advertising can’t tell the difference between a ripoff and a deliberate satirical reference, what does it say about…the rest writes itself really.